My first post of 2014 will be my last in a long while. I initially started Don’t Forget The Songs 365 to spark myself to write every day as a way to obtain my goal— to be accepted into grad school. Now that my dream has come true, I need to keep all my focus on Graduate School. Grad School had become my full time job and my energies needs to be on my studies, my writings and my soon to be field study position. I leave you with one of my favorite Beatles covers of all time. Recorded during the From a Basement on the Hill sessions, Elliott was one of the biggest Fab Four fans. 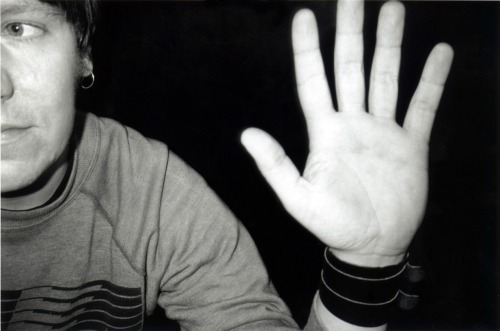 You may recall Smith recorded a rendition of “Because” for the American Beauty soundtrack. Remembering a quote from William Todd Schultz’s Torment Saint, one of Elliott’s former bandmates and friends Pickle described the multi-talented Smith as “Elliott was John, Paul and George and we were all Ringo.” Pickle’s quote perfectly reflects Elliott’s cover of “I’ll Be Back.” Not only is Smith playing all the instruments but at the end, my favorite part, is hearing Elliott, inspired by the Beatles Anthology outtakes of the late nineties, taking on the voices of John, Paul and George blaming each other for “messing up” this near perfect take. I’m not saying good-bye forever; I don’t know how long I’ll be gone, so let me just so long for now. Think of this farewell as an extended sabbatical. Thank You to all my readers, my friends, my family and especially my wife for all the feedback, kind words and support during my Don’t Forget the Songs-365 adventure. I will miss posting songs every day but my grad school duty calls and I gotta accept the charges. 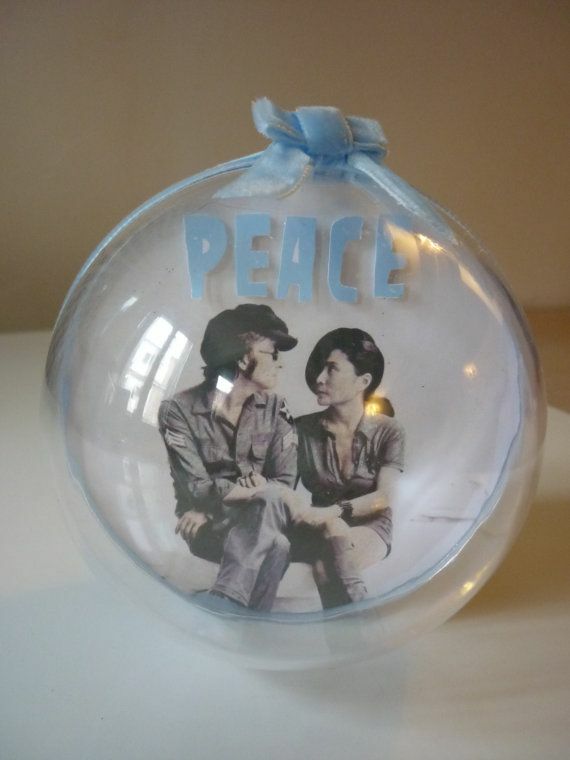 The first single from The Libertines eponymous album, released after Peter Doherty much publicized prison sentence that was the fire stake that led to demise in the core collaborative friendship between chief songwriters Carl Barât and the soon to be Babyshambles vocalist Doherty. 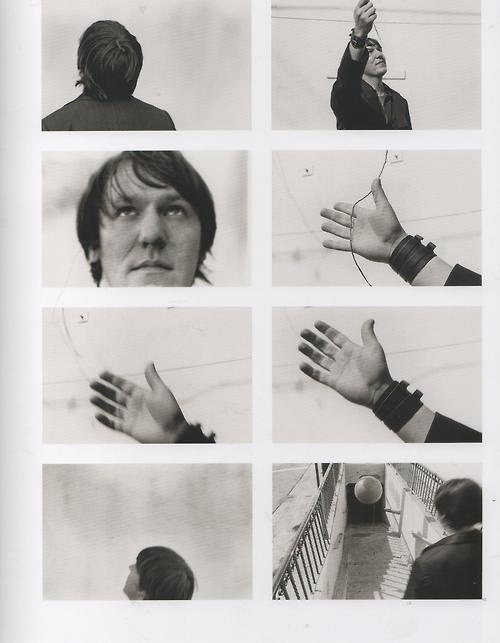 “Can’t Stand Me Now” was supposed to be the song that brought Barât and Doherty back together, ironically, this was the song that ended up breaking up The Libertines. 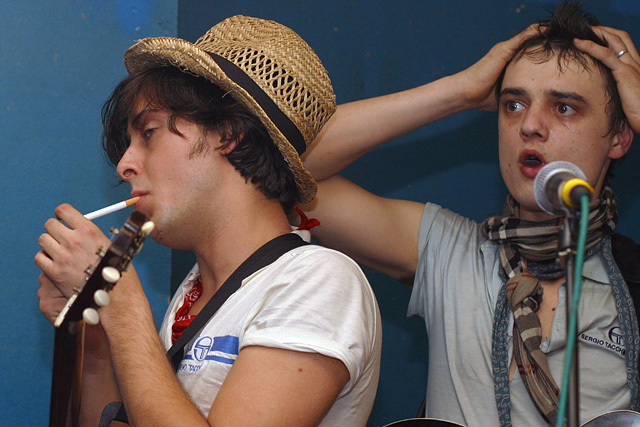 Because of Peter’s continuing drug use, the saga continued, Barât and the rest of The Libertines banned Doherty from playing with them until he got clean. Things between Peter and his bandmates went sour fast as detailed in Alex Hannaford’s book Peter Doherty: Last of the Rock Romantics, “The band had been playing ‘Can’t Stand Me Now’—the Pete penned paean to his and Carl’s soured relationship. 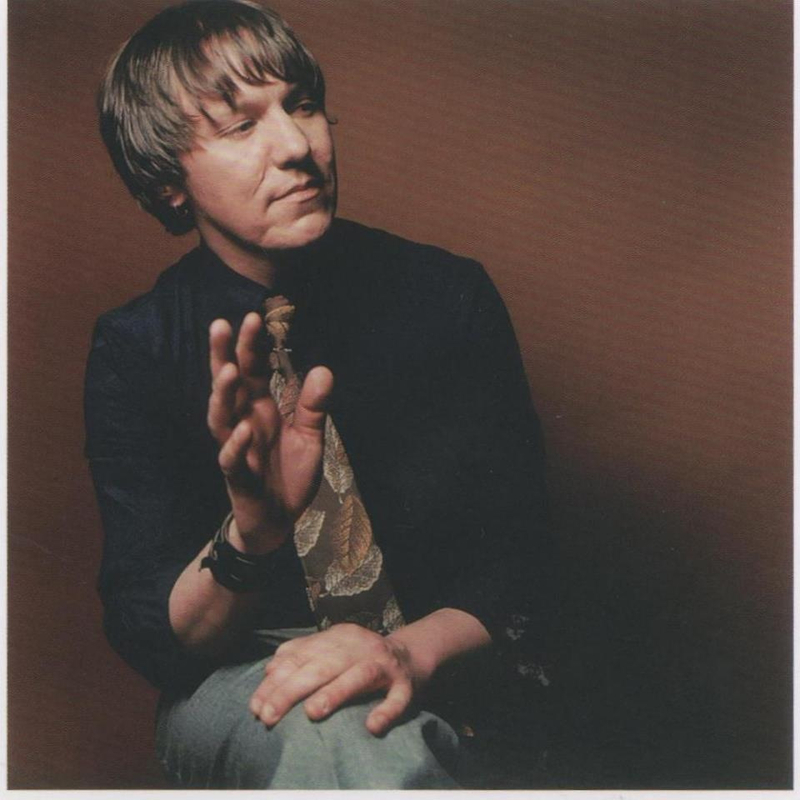 And that night on stage at Brixton, whether it was due to love lost between them, paranoia from drug use or simply tiredness, Pete took offence at how emphatic Carl had been while singing the words to the song. ‘It had taken six, seven years for him to say it, to say the truth,’ Pete afterwards told journalist Betty Clarke for the Guardian. ‘He sang it to me and I thought, you’re right. We’ve used each other, got here, but underneath it all, you’re not my mate. So I kicked his amp over, smashed up his guitar and cut myself up.” It sounds like Peter took offense when Barât sung Peter’s song, it made Carl look like the victim and Doherty was the villain in their musical drama. Which ever version you prefer, the original first single from The Libertines final album or Carl’s, one thing you can say about Peter’s acoustic rendition, Doherty doesn’t hold back, the Babyshambles vocalist’s acoustic version is a stripped down tale that singled the end of one of the best bands UK that had so much passion but couldn’t make it through their personal madness. 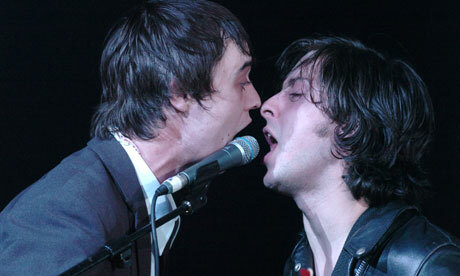 “Can’t Stand Me Now” is the song that broke up The Libertines. Nothing else to say except, when the clock strikes midnight, honor ‘the good old days’ by cranking up Peter’s acoustic classic of “Can’t Stand Me Now” to eleven and just sing along. 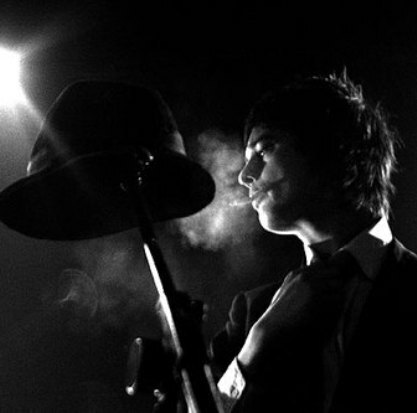 Welcome to the battle for “The Ballad of Grimaldi,” in this corner we have the poster lyrical boy of excess Peter Doherty squaring off against his former Libertines mate Carl Barât. 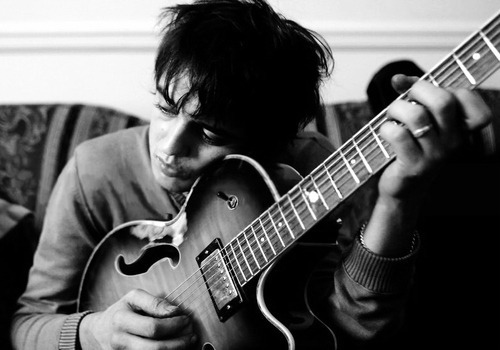 Although “Girmaldi” was first tracked by The Libertines for the infamous Babyshambles sessions in 2003, Doherty actually struck first in this musical battle when Peter recorded an acoustic version for his Shaken and Withdrawn sessions of 2004. As you can hear, Carl’s version is a little more polished and refined. Barât’s studio version sounds like an almost Libertines recording that’s beginning for his former songwriting partner, Peter Doherty’s vocals. 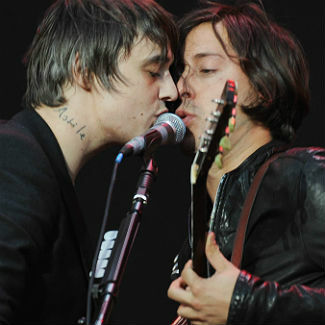 A duet between the two would definitely be a hit single for all of us Libertines fans longing for a reunion beyond on the stage and inside the studio again. 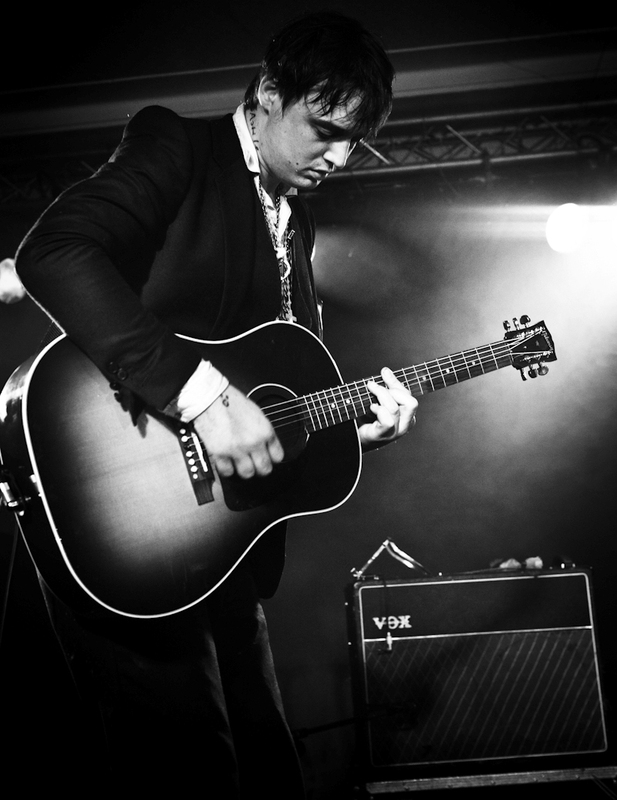 Until then we’re going to have to settle for these brilliant versions by solo artists Peter Doherty on the Raise the Bar charity album and Carl Barât on his EP, Death Fires Burn at Night. 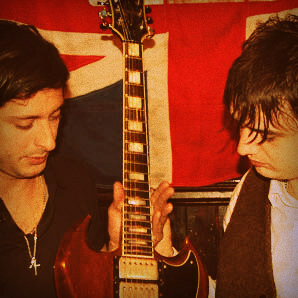 Relive the glory of the track that Carl recently called “the beauty […] of an old Libertines’ song that I did with Pete years ago on there called the Ballad Of Grimaldi.” So you choose the victor in the battle for “The Ballad of Grimaldi.” Who do you prefer Carl or Peter’s version? You decide! If you’re looking for the most non-traditionally magnificent song for this or any winter holiday season, you must discover the mystically wondrous sound of Björk’s “Solstice.” Björk described this hauntingly beautiful Biophilia track as, “Sjón wrote this poem which I really, really love and it’s called “solstice,” which is basically a Christmas carol and it’s sort of about the fact that the four seasons are because of the tilt of the earth.” Sjón’s poetics are what first caught my lyrical ear but then I learned how Björk brought “Solstice” to light. For now, we Björk fans get to experience her multi-media creation Biophilia from home. I suggest you begin with “Solstice.” The song that began as a Christmas poem by Björk’s lyricist Sjón and who’s musical structure was so complex that M.I.T’s Media Lab Andy Cavatorta had to create a new instrument called a “Gravity Harp” to bring “Solstice” from Björk’s mind to life. Any track that needs a poet and a Massachusetts Institute of Technology scientist to help create Björk’s song is one for me. 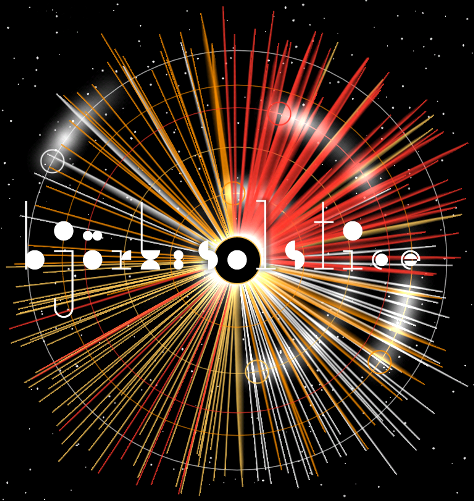 Celebrate the seasons with this timeless Bjork i Pad creation that mixes poetics, technology and imagination all in the span of a five minute anti-pop song, the future begins now. 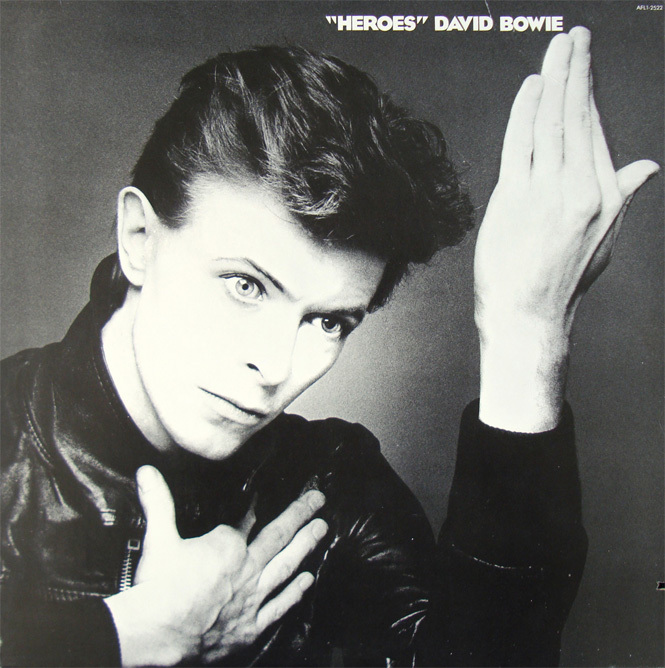 One of the most misunderstood songs in David Bowie’s eclectic song canon has to be 1977’s “Heroes.” While working on the title track to “Heroes” at now historic Hansa Studios in Berlin, producer Tony Visconti left David Bowie alone to come up with the lyrics, as Visconti told Sound on Sound, “He gets very, very tense, because he’s now got to commit. 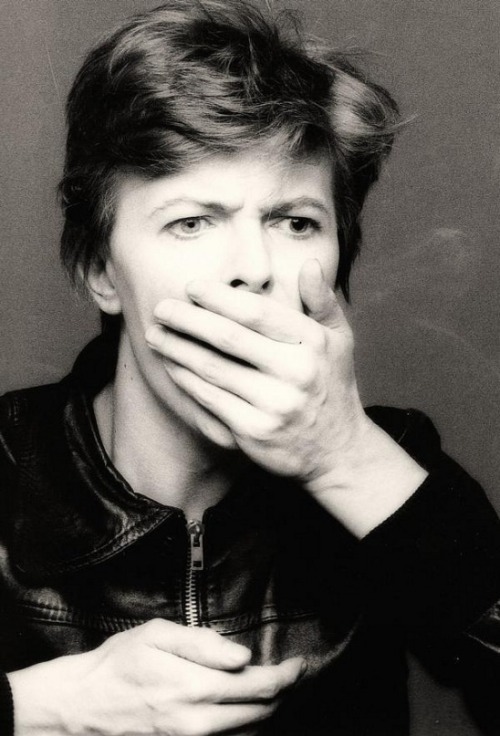 So, I could feel it in the air.” The cold winter air was where Tony went to meet his secret paramour, by the Berlin Wall, that Bowie witnessed, the scene of to illicit lovers that spawned the classic storyline to one of the most passionate songs David had ever written. 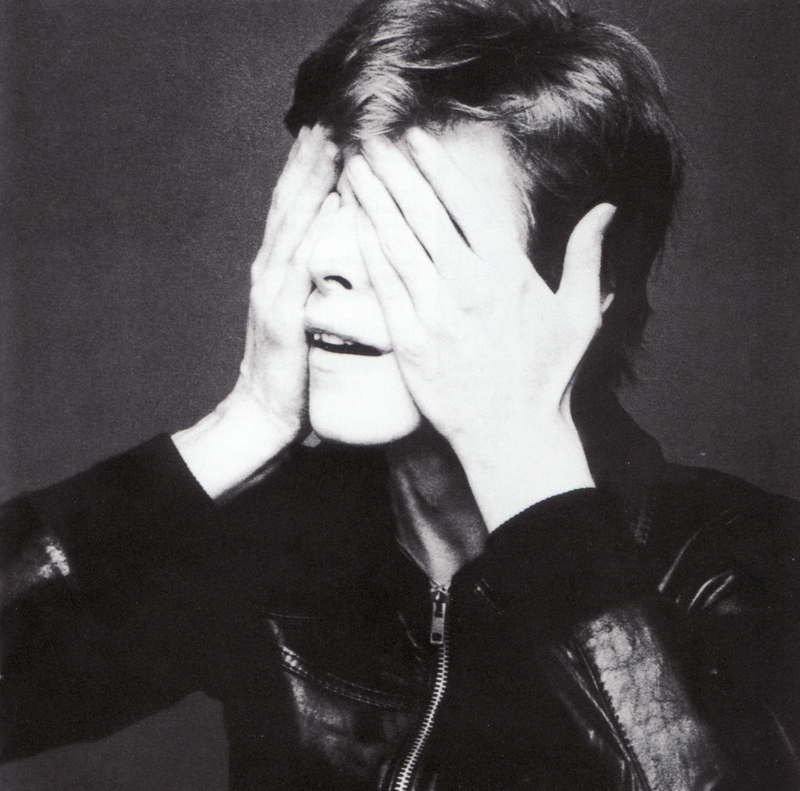 Ironic is the perfect word because Bowie’s song is not one for two soul-mates but for two hopeless lovers as author Thomas Jerome Seabrook explored in his book Bowie in Berlin a New Career in a New Town when he wrote, ““Heroes” is still widely mistaken to be an anthem to fist-pumping optimism, when in fact Bowie is singing about the self-delusion of clinging to a relationship that might last, at best, “just for one [more] day”. One thing I will agree with Bowie, as he told Allan Jones from Melody Maker, to me, “Heroes” will remain a soundtrack to a Boxing Day snap-shot moment captured, “the very simple pleasure of being alive,” inside this classic song between two star crossed lovers that will continue flickering on, misunderstood, eternally. 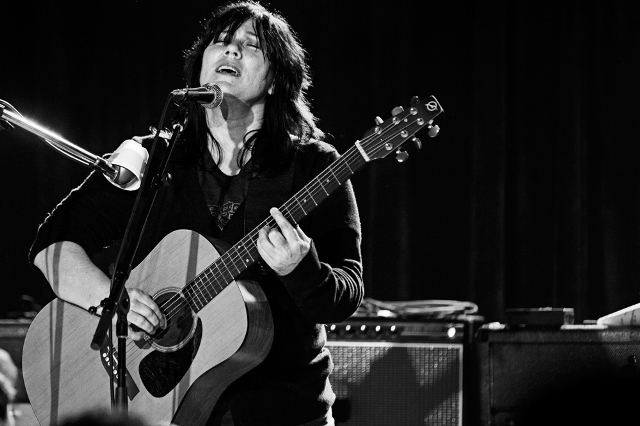 Chan Marshall, aka the artist we all love and know as Cat Power, once said, “For me, the moment the mic is on and it’s rolling, it’s impossible to vocally relax for some reason. But one day, I’m going to be able to sing the way I sang when I was a little kid, completely open and free. That’s, I think, the one thing that’s changed: Growing older, I’m not ashamed to hear my voice.” Smile, Chan. There’s no reason to be ashamed anymore, you already sound open and free. Thanks to you and this glorious version of this holiday classic, we’re all going to have a Merry Little Christmas! From all of us here at Don’tForgetTheSongs-365, Feliz Navidad to you and everyone you love! Some may call this, Paul’s classic holiday song, cheesy, dated and über schmaltzy but who truly cares what those grinchy fools think? No other song reminds me of sitting in front of the fireplace, sipping warm milk out of a coffee cup with whip cream on top, laughing & singing along whilst enjoying the warmth of my familia during our favorite Christmas time of the year. No other song brings in the modern synth spirit of the holidays than this classic from Paul McCartney. You know you heart this one. Press play and croon while dancing along to “Wonderful Christmas Time.” Feliz Navidad, amigos! How can I forget this time of year, when I was younger, wrapping paper would be rolling around us, with bows, as the X-mas tree was lighting us, but I would spread with my head dreaming inside the vinyl sleeves. 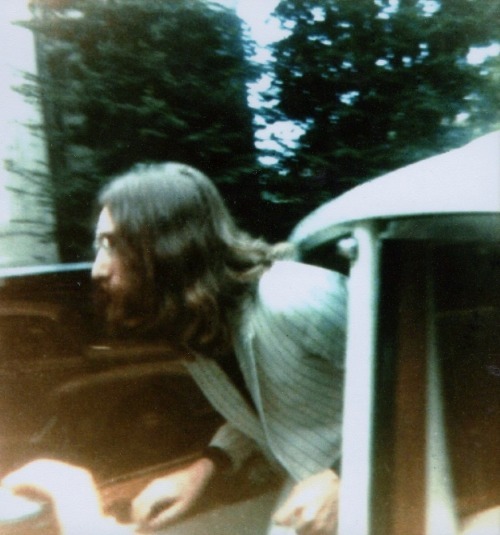 If it was Christmas time, Beatles music always heard coming from the large stereo speakers of my parent’s home. I remember how I would watch the needle land on the vinyl imagining it was Santa landing on the record to bring us the Fab Four music I loved to hear. I know I’ll never tire of spinning Happy Xmas. 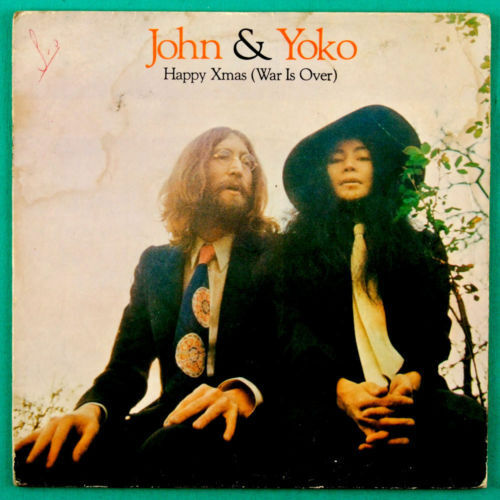 Lennon song was always one of my favorites, and one we must have played on my parent’s record player over and over again, so much that my Papi thought we’d wore off the grooves from the vinyl; luckily we never did and every December I would bring out this record and spin all of John & Yoko’s yuletide glory all over again. 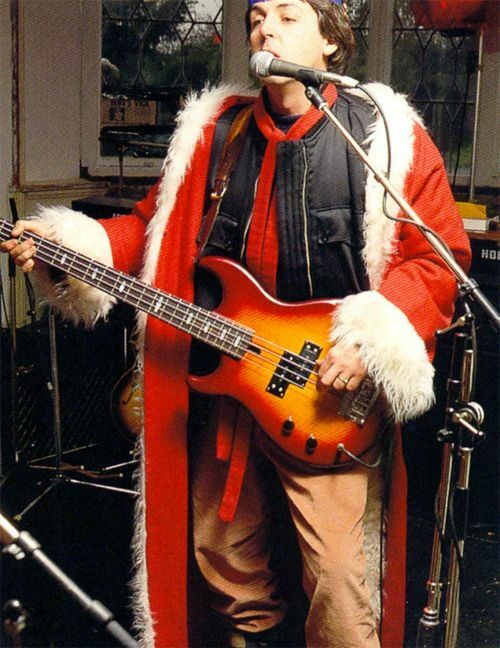 “Happy Xmas” always brings me back when I was younger wearing Santa’s oversized hat and sung all of John’s songs with all the cheer. My favorite part is singing along to the Yoko and Harlem choir’s harmonies. Speaking of, how about Yoko’s harmonies? 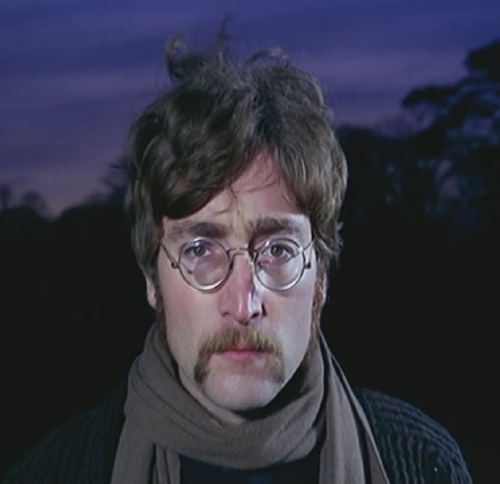 “Happy Xmas” is definitely her best on any of John’s songs! You can feel the love and joy in Ono’s vocals. Happy Xmas to all my readers, enjoy your holidays and have a happiest of New Years! Today I watched the trailer for Spike Jonze’s new movie Her. A post-modern, artificially intelligent, love story between a lonesome Joaquin Phoenix writer her pens letters for clients and the sultry operating system voiced by Scarlett Johansson. The premise isn’t as preposterous as it sounds, how many of us have had “world wide webbed-long distanced internet” romances with lovers using only voices on page, e-mail, text and cell phones? 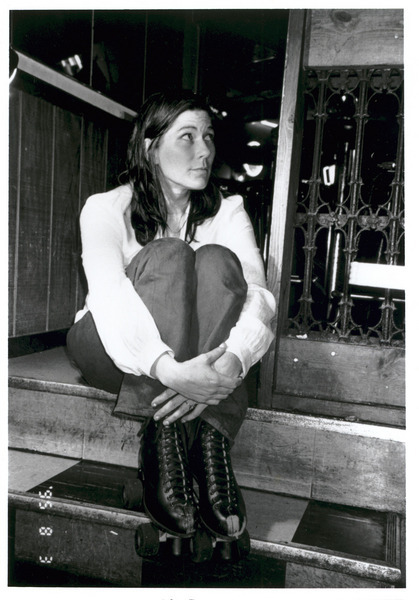 Talking about songwriting in 2010, Kim Deal said this to The Cleveland Scene, “I can’t handle being part of a bad song. Writing a song is super easy. You can go to the library or bookstore and there’s actually a formula for writing songs. But here’s the hard part —writing a song I’m going to want to sing in front of people five years from now.” Deal definitely accomplished this with “Off You,” and over ten years later and not only are all Breeders fans still talking about this underrated Title TK gem but Spike Jonze has included Deal’s song on the film and soundtrack to his new film Her. 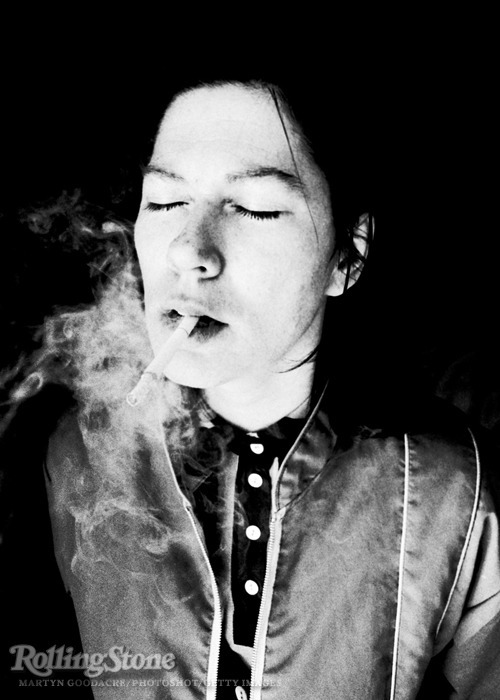 I am not alone in my love for Kim and The Breeders “Off You,” in fact, Drowned in Sound J.R. Moores said this about his favorite, and my own, Title TK track, when he wrote, “Off You’ is Title TK’s greatest moment, The Breeders’ greatest moment, one of alternative music’s greatest moments. 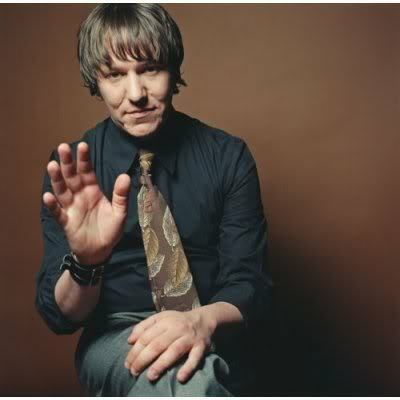 Sadness and intrigue pour out of this frail lullaby in a way unlike any other record.” I wholeheartedly agree with J.R.’s take and so does Darren Levin of Faster Louder who named Title TK, home of “Off You” one of the most underrated albums of all time. “Off You” would have just been a forgotten Title TK treasure, championed by J.R. Moores, Darren Levin and myself hadn’t Spike Jonze decided to add this Breeders vintage song of loneliness on the soundtrack to his new film Her. Kim has rarely talked about “Off You” during interviews and when she has mentioned this Title TK gem, Deal has praised her sister Kelley’s work on the song like when she told VH-1, “We were at the studio. ‘Off You’ sounds good. The bass is done, the guitar is done. Then Kelley wanted to play bass pedals. It came out as so obviously not a noise that would go with the song, but it sounded cool. Whenever I hear it, I say, ‘Kelley’s landed.” Kim is wrong, whenever I hear “Off You” it sounds like Deal has made her mark in one of the most unheralded songwriters of our generation. The way that Kim captures the sound of loneliness as an island is transcendentally emotional and timeless. 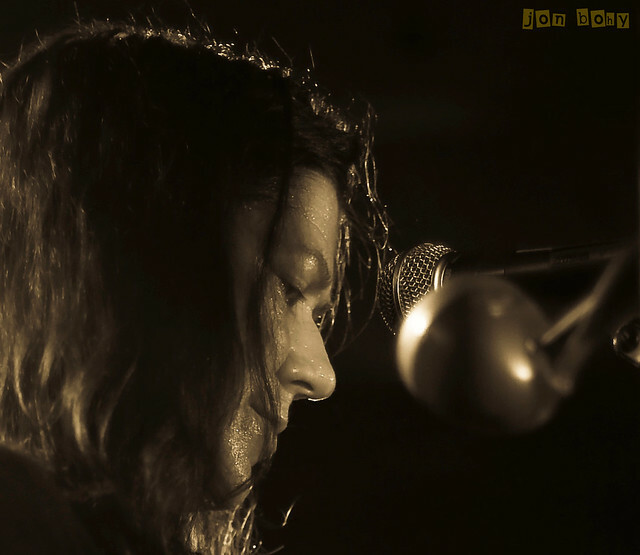 Do yourself a favor and re-experience the magnificence that is The Breeders “Off You.” Sadness never sounded this eternally beautiful. Although “Watching Rainbows” has been unreleased for over forty years, there is still something wondrous about rediscovering the magical beauty in this rare Beatles treasure that not many Fab Four fans have heard. 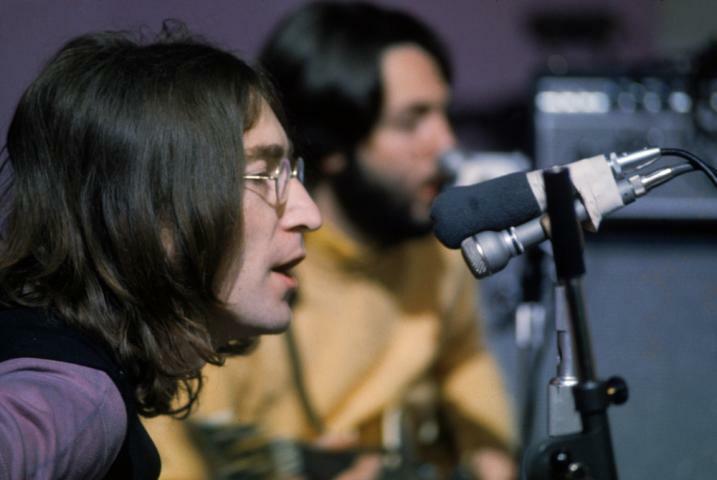 But Lennon doesn’t mind if some of his more devoted fans have yet to unearth this treasured recording as John once explained, “When you do something noble and beautiful and nobody noticed, do not be sad. 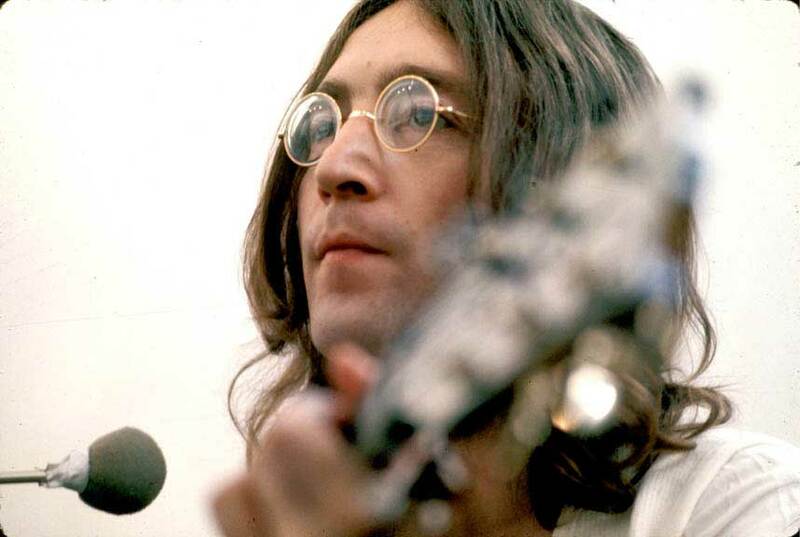 For the sun every morning is a beautiful spectacle and yet most of the audience still sleeps.” John Lennon and Beatles fans of the world unite. It’s time for you to get out of bed, run outside and catch some rainbows. Even if it’s not raining you can still catch them, start by “Watching Rainbows” and then open your mind—it’s easy if you try.